Take in the views from a terrace and make use of amenities such as complimentary wireless Internet access and concierge services. This hotel also features babysitting/childcare (surcharge) and a reception hall. 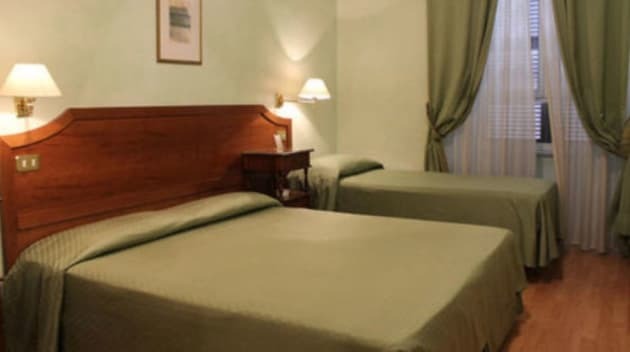 Nestled in a picturesque backstreet behind the Roman Forum, the 2-star Hotel Artorius offers affordable, family-run accommodation in the heart of the Eternal City. 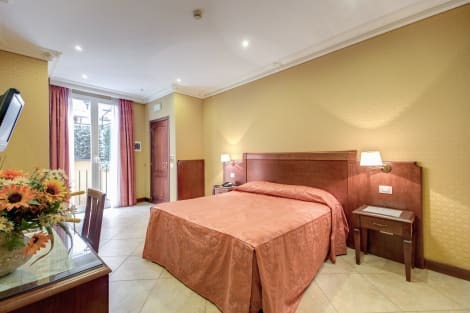 Rooms in the 19th-century İtalian Palazzo are comfortable and come equipped with modern amenities such as high-speed wi-fi, LCD TVs and air conditioning. A complimentary breakfast is served each morning, and transfers from the airport can be arranged by the staff, who are happy to help with recommendations of where to visit. 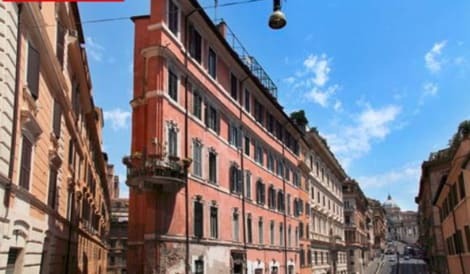 At just 20 meters from the Roman Forum and at a 5-minutes walk from the Coliseum you will find the Relais Fori Imperiali, a charming property that offers an atmosphere that combines classic luxury with modern technology. 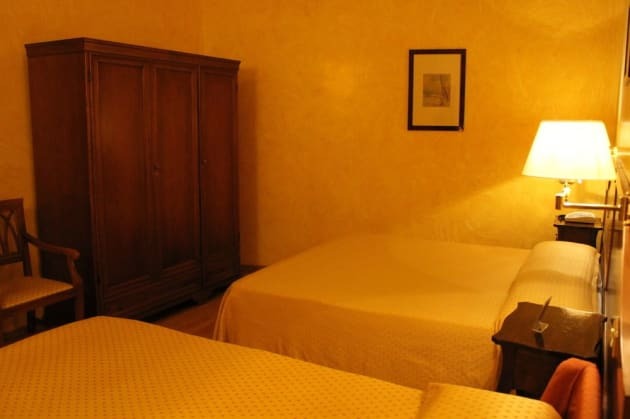 Located on the first floor of a 17th century building, the rooms are sited in a large apartment with an elegant and independent entrance, restored ceilings with exposed beams, modern artwork and contemporary furnishings. The rooms are all equipped with ensuite facilities, satellite flat screen 24" TV with pay-per-view and free Wi-Fi. 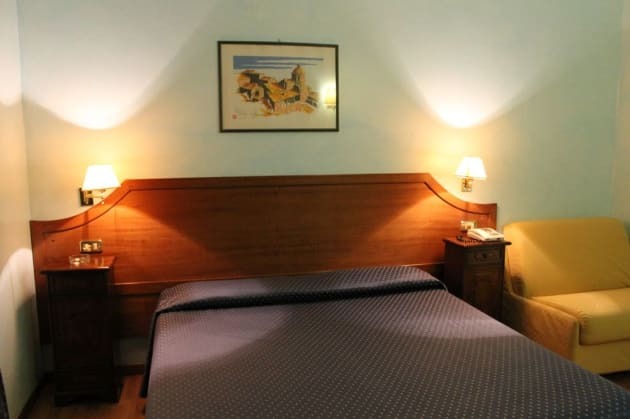 The strategic location and transport links provide easy access to all major tourist attractions of Rome. In addition, the surrounding area offers a wide variety of restaurants, supermarkets, shops, pubs and clubs with live music, museums and art galleries. 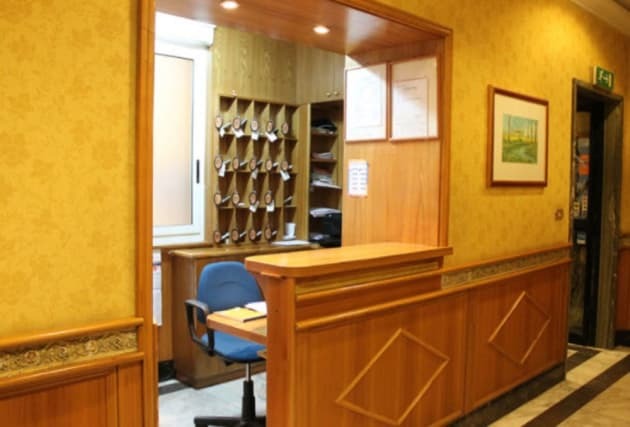 The staff will be happy to assist you during your stay, giving tourist information and travel tips to its customers. On request, the hotel offers shuttle service with an extra charge. Make yourself at home in one of the 35 air-conditioned rooms featuring LCD televisions. Your Select Comfort bed comes with Frette Italian sheets. Complimentary wireless Internet access keeps you connected, and satellite programming is available for your entertainment. Private bathrooms with shower/tub combinations feature complimentary toiletries and hair dryers. Take advantage of the hotel's room service (during limited hours). Cooked-to-order breakfasts are available daily from 7:30 AM to 10 AM for a fee.